Imagine your typical classroom. Now imagine that classroom without walls, a ceiling or a floor…welcome to Outdoor Education (OE)! 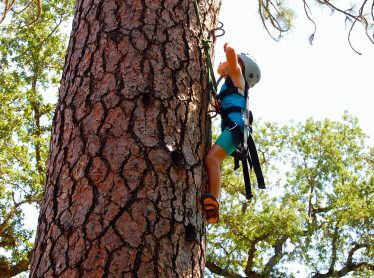 Mother Lode is excited to offer a wide range of outdoor education programs for students and teachers. Come learn about the California Gold Rush or about the importance of the river banks along the American. Our programs are designed with age appropriate lesson plans, with a focus on hands on learning, exploration, and HAVING FUN! We can adjust our activities and lesson plans to tie in concepts being discussed in the classroom. 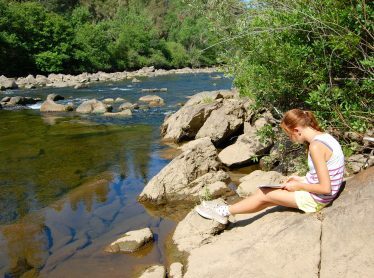 Our 20-acre facility is located on the banks of the American River and is uniquely structured to support the campus-like feel of our outdoor educational programs. Students can spend the day learning about a singular theme or rotate through stations covering a variety of different outdoor education topics. This flexibility allows us to pair outdoor educations with some of our other programming like the ropes course and rafting. Please contact us to discuss all of the possible program options. 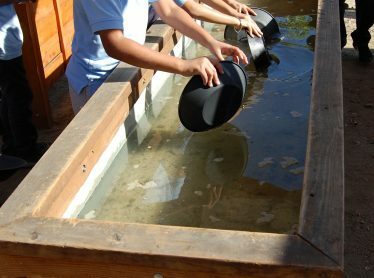 We use hands on activities to cover a unique blend of topics, from the physical and human geography of California, to Native American cultures and the economic, social and political effects of the California Gold Rush. Students will learn hands-on leadership skills, problem solving, respect and teamwork, as they’ll be tested to work together physically and mentally through outdoor adventure activities. During our River Science program, we examine the fact that other than being beautiful, these riparian habitats as they’re often called, play a vital role to the health and sustainability of the atmosphere and to the communities that build around them.